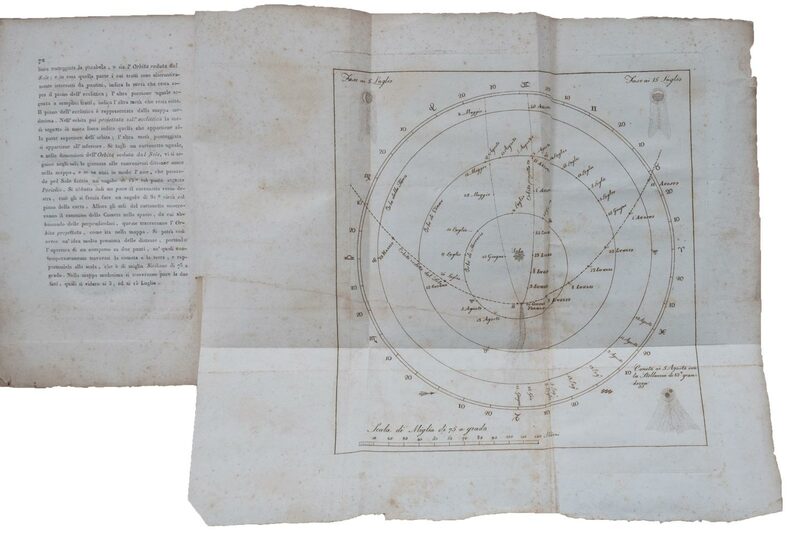 Samuel V. Lemley, a Ph.D. student in English at the University of Virginia, likes to think some of his Sicilian ancestors might’ve seen an unusual light streaking across the sky in early July nearly 200 years ago: the Great Comet of 1819. 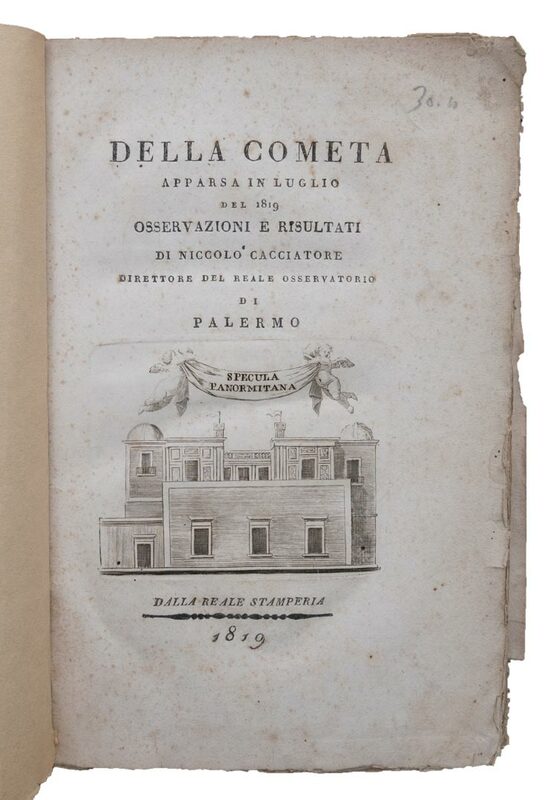 When he decided to collect books to supplement the information about this branch of his family tree, Lemley found an interesting volume published at the time by Niccolo Cacciatore of the Royal Observatory of Palermo, complete with a fold-out map of the weeks-long visibility of the massive comet’s path. 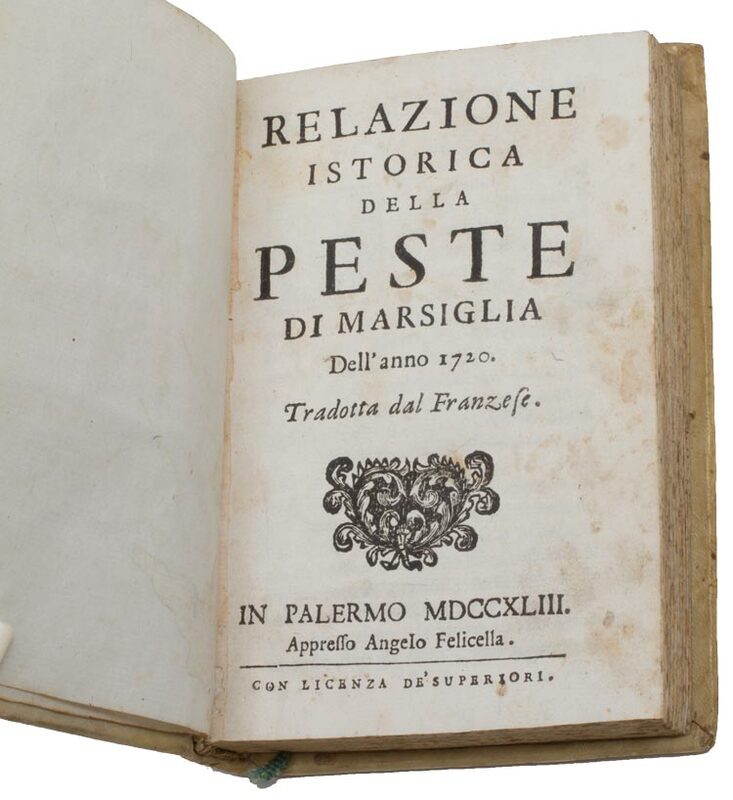 It’s part of an impressive collection of early printing from Sicily that won him the top prize in the National Collegiate Book Collecting Contest in October. “My grandfather did a huge amount of work over decades to compile the genealogy of our ancestors from Sicily,” Lemley said. “I thought I might contribute to his work and represent my family’s ancestral culture with this book collection. “Books in Sicily were being bought and sold – and read – when my ancestors lived there. That really fascinates me,” said Lemley, who grew up in the California foothills near Sacramento. In addition to taking the top prize at the national contest, Lemley won first place earlier this year in the UVA Bibliographical Society’s Student Book Collecting Contest, a $1,000 prize that he used to supplement his collection. The national award, presented at a Library of Congress ceremony in October, came with $2,500 and a year’s complimentary membership to the oldest society for bibliophiles, the Grolier Club in New York. A $1,000 gift also went to the UVA Bibliographical Society. 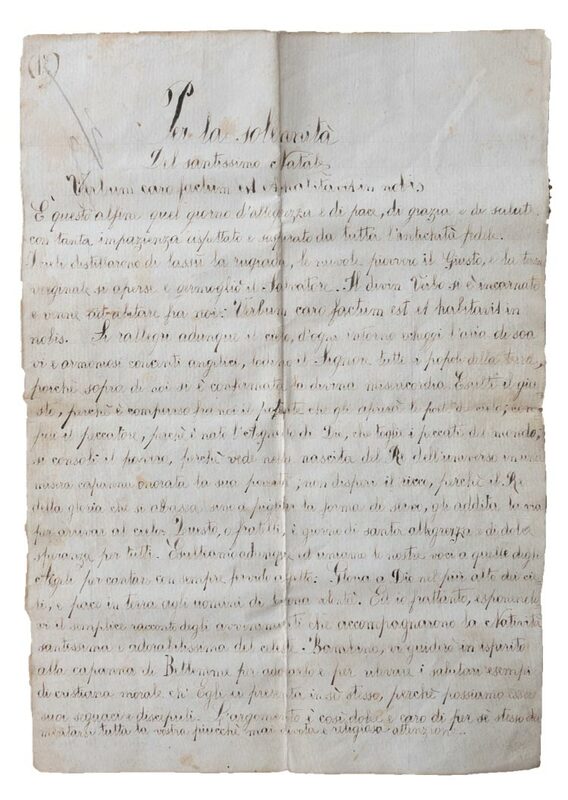 “Biblioteca Genealogica: Sicilian Printing, 1704-1893” – captured in a booklet Lemley produced with text and images to show samples from the collection – contains a range of items, from a treatise on how to deal with the plague to a mid-19th-century handwritten homily for Christmas. Lemley first got interested in old books when he worked in the University of North Carolina-Chapel Hill’s rare book collection as an undergraduate. He then went to the Palmer School in New York City for a master’s in library science, where he delved into the world of rare books and collecting. He set his sights on UVA for his Ph.D. because of its strong English department and bibliographical society, which focuses on books as physical and historical objects. From UVA English professor David Vander Meulen, who teaches courses on bibliography and textual editing, Lemley learned about “book collecting as a scholarly imperative and an intellectual activity in its own right. My participation in David’s seminars on bibliographical subjects – along with his intelligence and generosity of spirit – underwrite my collecting,” he said. In 2013, he began working for – and still does occasionally – antiquarian book trader W.P. Watson, who is based in London. Lemley researches the provenance of manuscripts and rare books and works at rare book fairs in New York, London and California. Lemley found the first book for his collection in New York City. Published in Palermo in 1743, it’s a historical account of the 1720 plague in Marseille, translated from French into Italian. Outbreaks of bubonic plague were common in port cities like Marseille and Palermo, he said. One of his most recent acquisitions came from a trip to Sicily in 2015 to reconnect with some cousins. He found a bundle of manuscript pages in a Palermo flea market that included a priest’s handwritten sermon about Christmas. He thinks it’s from around 1825, but the pages have no date or name. “Part of the collector’s impulse is to keep things from getting lost,” he said. A collection like his demonstrates both the fragility and durability of the past. David Whitesell, a curator in UVA’s Albert and Shirley Small Special Collections Library, was one of three judges for the Bibliographical Society’s local contest. He said Lemley’s collection adds cultural knowledge that genealogy alone would not provide. Whitesell said the UVA judges, who included Barbara Heritage, associate director and curator of collections at the Rare Book School, housed in Alderman Library; and Frederick G. Ribble, a local scholar of English literature and book collector, noticed a new trend in student book collecting.